I'm way behind on my blog, just haven't had the time to complete the story of my trip to the 1sr Yamaha Super Tenere Gathering and to Alaska. I will complete it but the rest is going to be mostly posting of all the pictures I took. I now have two jobs, I'm back in IT working for a bank and taking care of my photography business whenever I find time. After starting my business I was too preoccupied trying to make money and survive and then I got the IT job. I haven't stopped riding, I still ride whenever I find time. The 2nd Super Tenere Gathering is less than two weeks away and this time it's a little closer to me. It's still going to be over 4K miles round trip but the weather should be warmer and with much less mud. This year the event is being held in Ouray, Colorado. I spent a night in Ouray about 7 years ago during my cross country trip by car and loved the area. Ouray bills itself as the "Switzerland of America" because of its setting at the narrow head of a valley, enclosed on three and a half sides by steep mountains. 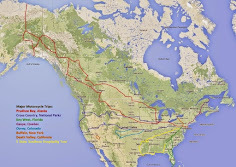 I will first ride to Las Vegas, New Mexico to pick up my brother and then we will ride through Durango, Silverton and then the famous "Million Dollar Highway" into Ouray from the south. 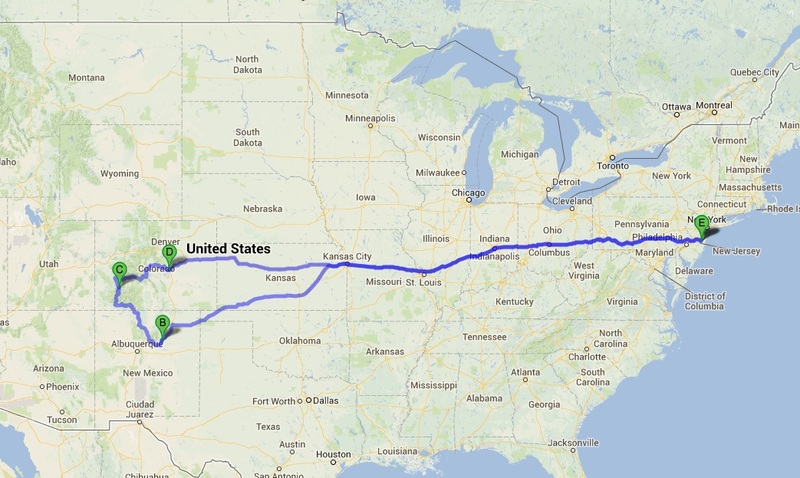 I expect to ride from New Jersey to Las Vegas in 2.5 days and cover about 1900 miles. During the days I'm in Ouray we will be taking side trips around the area and I expect to go over a few passes.